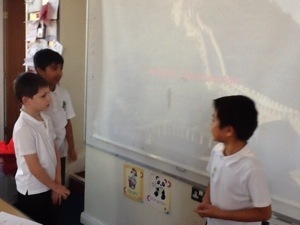 Year 3 and 4 practicing Mandarin at home! That’s the best way to learn guys! A little every day! 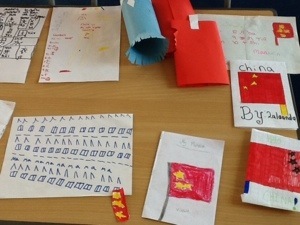 Year 4 voluntary Mandarin work has varied this week from booklets, flags, posters and a presentation! 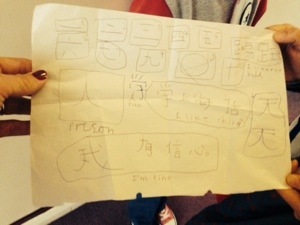 It is very impressive to see students practicing languages at home! To help us remember some characters we have decided to collage the character to make it look like the word it represents. 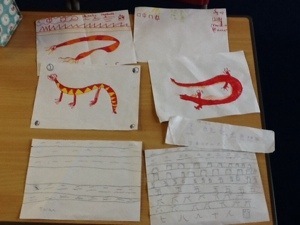 Here are some of our examples of ‘shui’.